I know many people are wondering why I'm not updating my entertainment blog for almost a month. One of the reason is my day job. I really want to be professional so now I minimized my blogging jobs during my work at the office (I'm more active on my Tumblr because it is much faster to post). So Jori, after work, you can blog at home before you go to sleep. Well... I wish. Because now I'm more busier than ever. Me with Tony Howett, Fitness First Club General Manager, RSC. 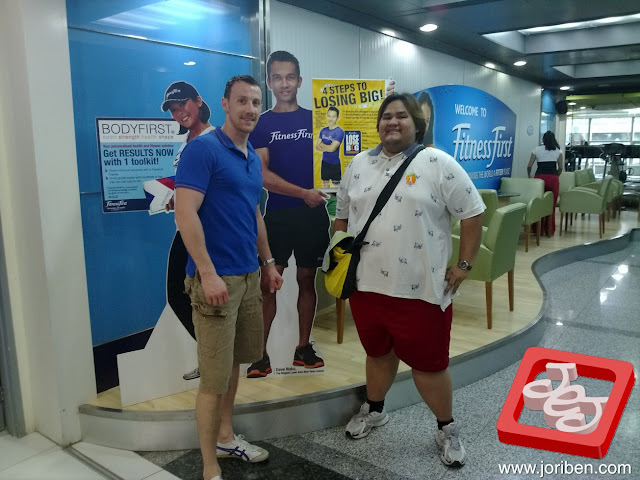 Now I'm enrolled on a weight lost program provided by Fitness First called Lose Big Programme designed by Dave Nuku (Biggest Loser Asia Blue Team Trainer) and I'm attending the class 4 times a week. Just completed the first month of it and it is doing great for me. Just today I did a 5-hour workout that makes me lose 2120 kcal. 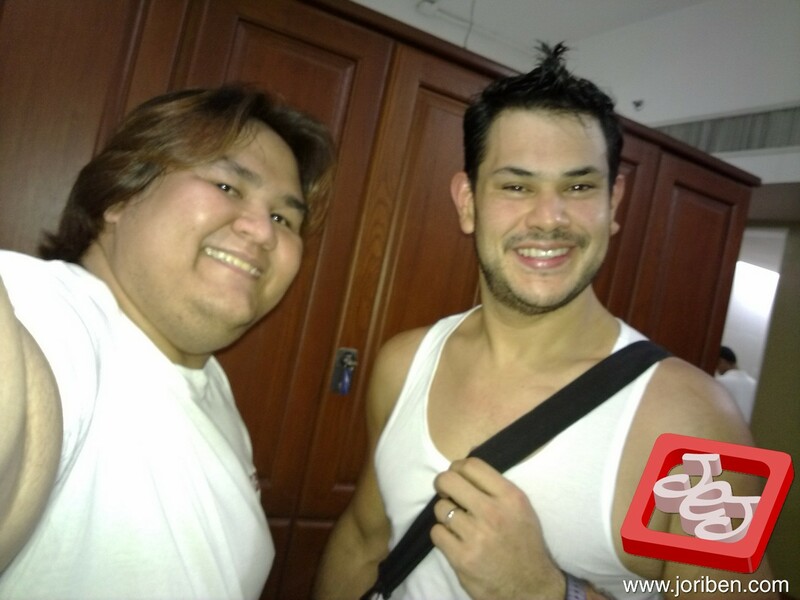 But what I really want to share to everybody is when I met one of my idol inside the Fitness First locker room. Me and Carlo smiling at the Camera. I'm definitely Star-struck. He is Carlo Miguel, to those who didn't know him. 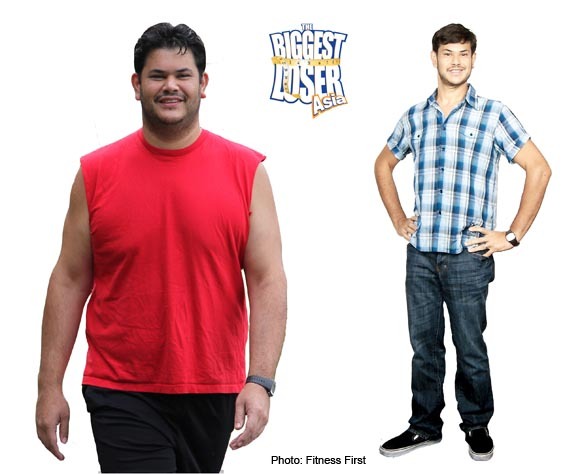 He is one of the Filipino finalist in Biggest Loser Asia (Others namely Christine White, Kevin Yue, Del Bacho and Leonore Llamas III). The first time I saw how he transformed week after week on that show, I became an instant fan. Carlo Miguel's incredible metamorphosis sparked an interest within me and makes me realize that I can lose weight without undergoing surgery. We did a quick chat and he encourages me to do all my best on the programme. He said that he supports me all the way especially when he finds out that I belong on the same team as he is -- Red Team. Now that is another additional motivation for me. I'm ready for more. all the best,i know u can do it!